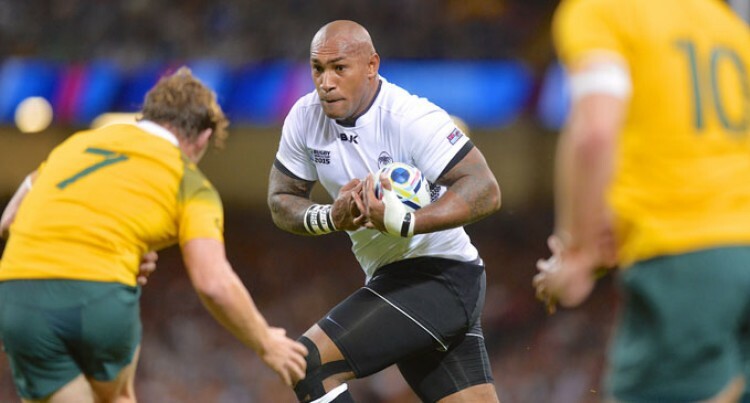 Bulky Vodafone Flying Fijian winger Nemani Nadolo is currently in top five of the 2015 Rugby World Cup highest points scorer following the first two rounds. Ayumu Goromaru tops the table with 29 points, Greig Laidlaw of Scotland in second spot with 20 points, Frederic Michalak of France 19 while Daniel Carter ties with Nadolo in fifth position with 16 points. The Namatakula man acknowledged fans and Fijian supporters for their support through Facebook after their 13-28 defeat to Australia yesterday. Nadolo reminded fans they would not give up. “Another heart breaking loss, we came here to give it our all against a good Wallabies side,” Nadolo posted on Facebook. “We not giving any excuses about why we lost we know people will talk and say things about this squad. We as a playing group aren’t giving up. “We made a commitment to each other that we will give it our all to the very end. We thank you so much for all your support and love. Sevens Maestro Waisale Serevi also wrote on his Facebook wall his praises for the gladiators. “Phil4:13” I’m so proud of the effort of my rugby brothers today, first time ever that I have seen any Fijian team created 18 phases against a big team like Australia. “Good job boys, you all are a credit to our country, Fijians all over the world are still behind you, now let’s focus and let’s get Wales next. “All stay strong, keep making a difference and let’s finish strong for the Rugby World Cup 2015 by winning our last two games#tosotikogaviti #gogetthem #noqukalounoquvanua #miracleshappenwithHim “Jeremiah 29:11,” Serevi posted on Facebook.